Whitney Houston's godmother, Aretha Franklin, who was slated to perform at the pop queen's funeral on Saturday, will no long be attending the service, according to The Associated Press. News of Franklin’s absence came as the hearse carrying Houston's casket arrived at the private New Jersey funeral. Stevie Wonder is still set to perform at the service. The funeral will be held in Newark, N.J. at New Hope Baptist Church, where Houston got her start singing in the choir and which seats about 1,500. Houston's family is "planning a joyful celebration of life," Rev. Joe Carter told NBC New York. He said the eulogy would be given by Marvin L. Winans, a gospel singer and longtime Houston friend. "It's going to be a very musical celebration and we're looking to help the family grieve and mourn the loss, and at the same time, add some joy to this very sad, sad moment," Carter said. Houston's long-time mentor and Arista Records head Clive Davis is expected to speak at the funeral. So is Kevin Costner, Houston's co-star in "The Bodyguard," according to People magazine. Houston's ex-husband Bobby Brown as well as Oprah Winfrey have also received invitation to the service, publicist Kristen Foster told the Associated Press. The noon service will not be open to the media, though one pool camera will be allowed inside the church, giving fans around the world the opportunity to watch a live feed. Viewers can watch the livestream Saturday here. Houston will then be buried in Westfield, N.J., at the Fair View Cemetery—the same cemetery where her father was buried, according to the AP. Earlier, there were reports the family was planning a public memorial at a New Jersey arena that seats 18,000. The family ultimately decided against the move. Houston is survived by her 18-year-old daughter Bobbi Kristina Brown, who is "doing much better " since being hospitalized for anxiety, her father said. "We continue to provide love and support to Bobbi Kristina," Bobby Brown said Wednesday. "She is dealing with the tragedy of her mother's death and would prefer to do it outside of the public eye. I ask again that our privacy be respected." Meanwhile, the Houston death investigation is underway in Los Angeles. Investigators plan to make contact with the late pop superstar’s doctors to get all of her medical records, L.A. Coroner Asst. Chief Ed Winter told news outlets. “There were some prescription bottles that were not identified in terms of what they were,” Winter told the New York Daily News. Earlier this week, Winter confirmed the bottles were discovered in Houston’s Beverly Hilton hotel room. But the amount found was less than he kept in his medicine cabinet at home, he said. It “doesn’t appear” the investigation is similar to the one into Michael Jackson’s doctor, Conrad Murray, Winter said. The initial autopsy on Houston was completed Sunday, one day after the singer’s mysterious death at age 48. Beverly Hills police have said Houston was found underwater and unconscious in her hotel bathtub. It won’t be known for at least several weeks whether toxicology reports reveal that the soul queen’s history of drug abuse played a role in her death. "It's not a matter of squirting blood or urine into a test tube like you see in 'CSI,'" Bruce Goldberger, professor and director of toxicology at the University of Florida, told NBC Los Angeles. "There is an amazing amount of work that needs to be done to complete these cases." Goldberger said toxicologists could test blood, urine and tissue samples “for hundreds of over-the-counter, illicit and prescription drugs." New Jersey Gov. Chris Christie said flags will fly at half-staff throughout the state Saturday in memory of the "cultual icon." "Her accomplishments were a great source of pride for the people of the state," he said. 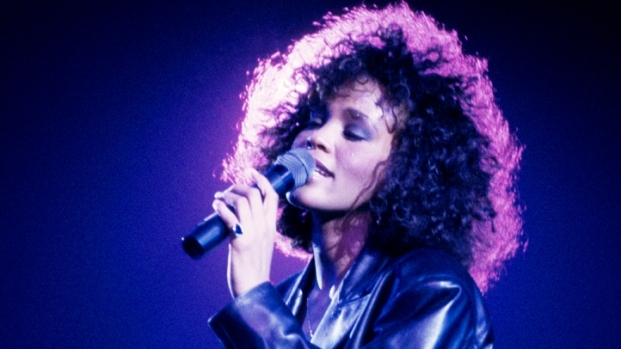 Houston's family has appealed for supporters to send donations in her memory to the Whitney Houston Academy of Creative and Performing Arts in East Orange, N.J.